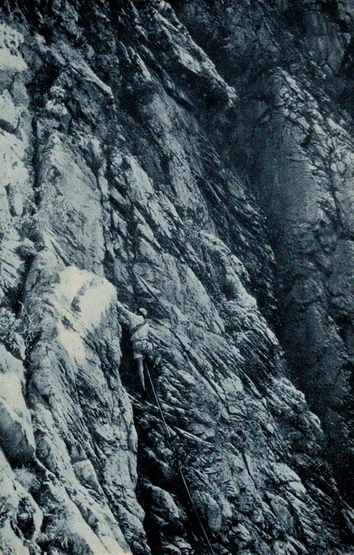 Eastern Cape climbers climbing in Swartberg Pass, 1978. 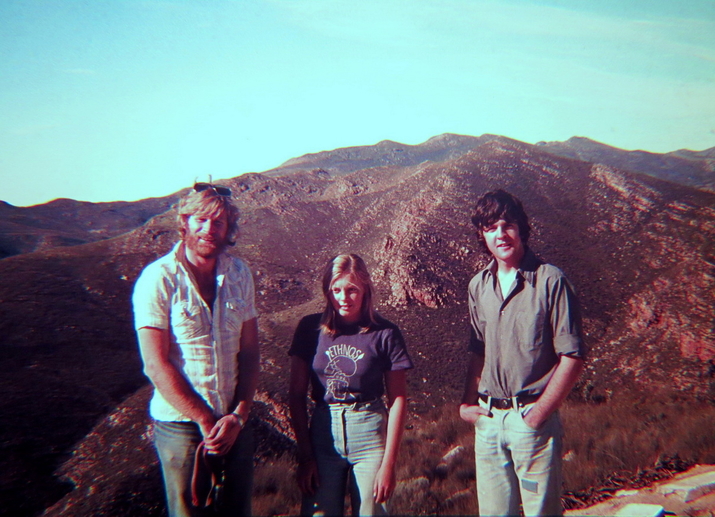 John Moss, Kim Cadle & Joe Maclennan. Photo thanks to Mike McKechnie collection. 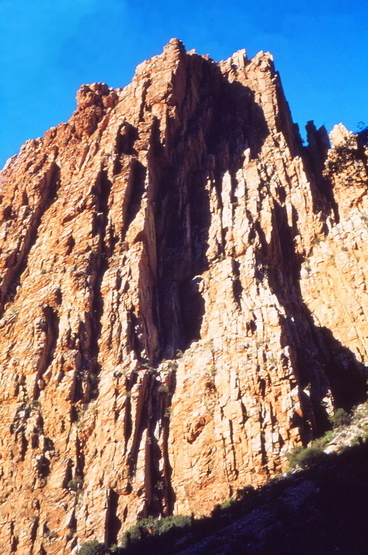 The Main Wall in Swartberg Pass, 1978. Photo thanks to Andrew Forsyth. 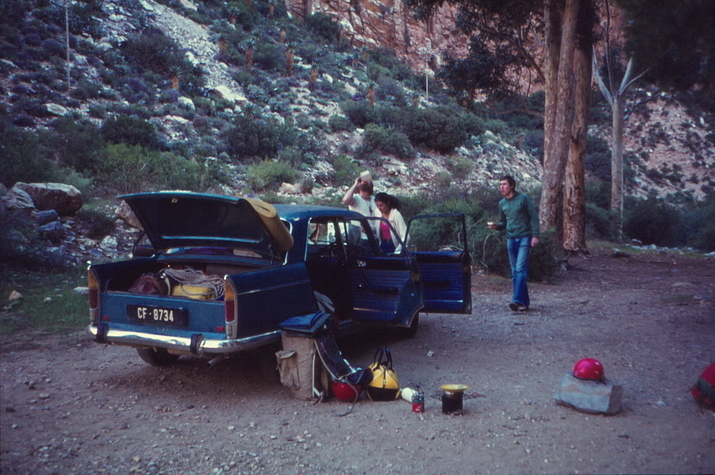 Eastern Cape climbers camping in Swartberg Pass, 1978. Photo thanks to Andrew Forsyth. Mike McKechnie on the 3rd pitch on the FA of Stack of Chimneys (17) in Swartberg Pass, 1978. Photo thanks to John Moss. All traditional routes on vertical quartzite cracks available in Swartberg Pass. Plenty of opportunity for new routes still exists. Big thanks to Gareth Frost for allowing us to post his route descriptions. There are discriptions of various routes in the 1978, 1981 & 1983 MCSA Journal. An updated guide will follow. Climbing is along a public road. There are no known restrictions to access with regard to climbing.